Vintage British Indian Old Picture Postcard. India. Garden, Fountains, View of The Taj Mahal from Top of the Gate. Agra. Commenced in 1637 and completed in 1648 A.D. by the Emperor Shahjahan. Wonderful Building in the world. A fine photograph taken from the entrance, giving a balanced effect with archway as border. 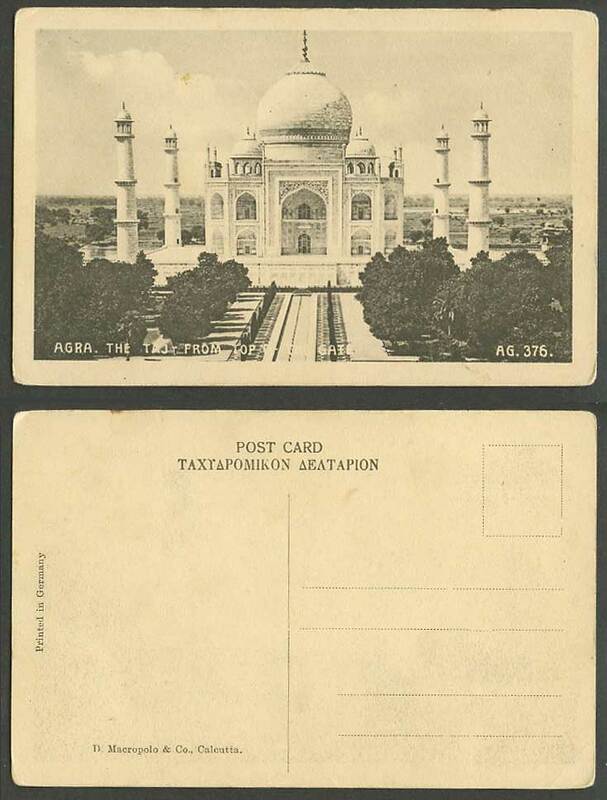 The Taj Mahal, Agra. A dream of Oriental splendour, fashioned as the last resting place forthe "Exalted One of the Palace", the wife of Shah Jehan. "If there is a heaven on earth it is this, it is this".